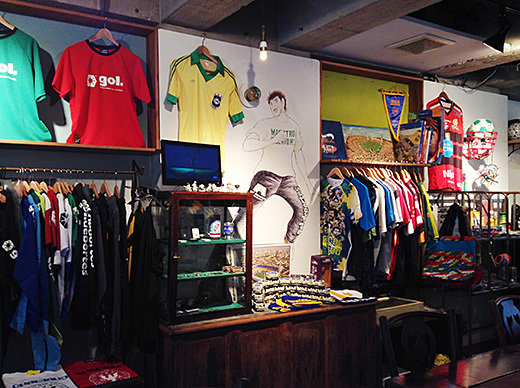 MF is a shop that unites of selling football clothing products and imaginary-latin food cafe in hideaway of Harajuku. 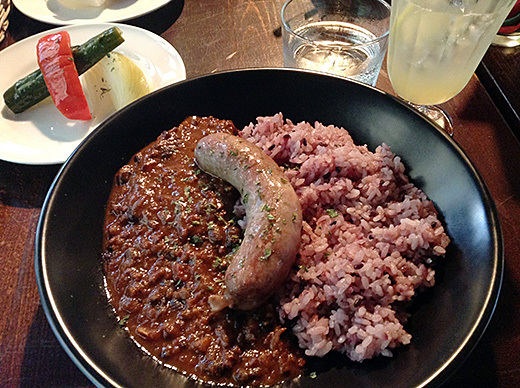 We had their special “Brazilian curry” lunch, minced meat and bean curry with vegetable pickles and a soft drink. 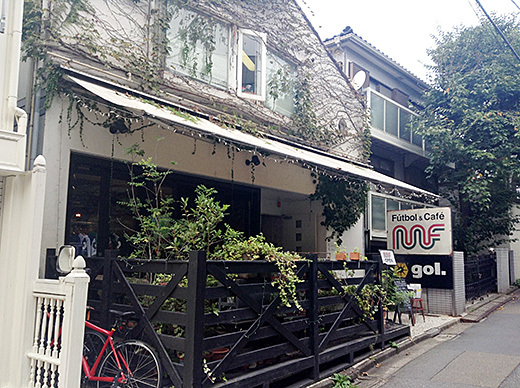 Their food was very good and the place was cozy. 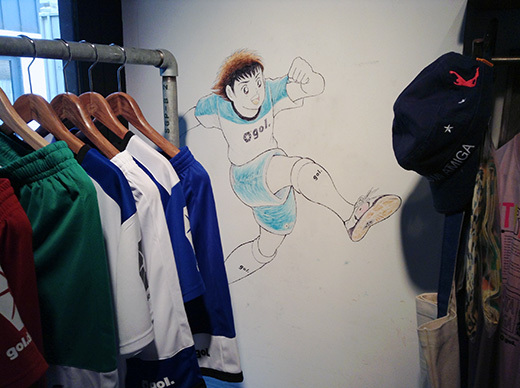 And you’ll find the drawing of manga characters by Yoichi Takahashi (famous for “Captain Tubasa“) on the wall.